Welcome to Why I Love Wednesdays! 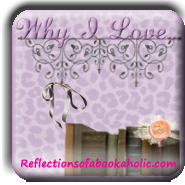 For the month of June and July, my blogging friends will pop in to share their book loves! I know you get tired of hearing me gush on and on so let's hear from my fellow gushers :) Why I love which takes place on Wednesdays. Today's proclamation of love concerns our Favorite Children's Books! I read some really strange things when I was a kid, but one book that always struck a chord with me was "¡Por Favor, Vuelve a Casa! 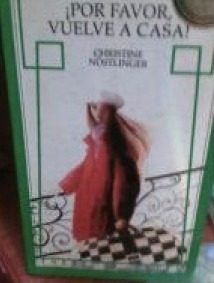 "* by Christine Nostlinger (which means "Please, Come home!") and it's about Erika, an 11 year old girl, who is trying to piece together the reasons why her older sister Ilse (14) decided to run away from home and figure out where she might be. Ilse is probably one of the most unlikable characters ever, but I always empathized with Erika - the little sister who is telling the story - because, as a little sister myself, I understood how frustrated Erika was by her older sister and how that frustration was also mixed with love. Also, it has one of my favorite lines ever: "I don't tell lies. The truth is usually already strange enough." Anyway, it was actually my big sister Boo who brought the book home - she had to read it for school - when I was about 12, and we both loved it. We both read it over and over, even after my dad accidentally drilled through he book by mistake (or so he says >.>) . ~Alex from A Girl, Books And Other Things. Been blogging for 4 years (just turned four last month!) and I focus on YA and Romance Novels. =) Describes me the best: "People who don't know me think I'm quiet; people who know me wish I was." *I think this book was published in English as "Girl, Missing" many years ago, but it's currently out of print. I’ve been a bookworm ever since I learned how to read at five years old, so I’ve amassed a pretty large number of favorite books over the years (and I’m sure it’ll just keep getting bigger). But one of my all time favorite books I read when I was a kid would have to be, Peter Pan by J.M. Barrie. I remember getting it from the library one the day I got my first library card, I read the whole thing in two days and completely fell in love with it. Neverland was such a magical place, I mean who wouldn’t want to go there? I remember watching the stars looking for the “Second star to the right” and wondering what it would be like to fly. The world of Neverland has always been one of my favorite places to lose myself in and was also the fuel for many of the imaginative adventures I had as a kid. I even wanted to be Peter Pan for Halloween, followed quickly by Tinker Bell the next year lol. At the time it was the first book I’d read that had faeries in it and I was utterly fascinated by them, and so began my never ending love affair with faeries. After that I read any book about faeries that I could get my hands on, and to this day I still gravitate towards faerie books. Peter Pan will always have a special place in my heart and memories, and if I have kids one day it will most definitely be one of the first books I read to them. I’ve been blogging for a year now so I’m still a bit of a newbie and definitely still learning things. 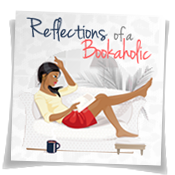 I read and review a whole range of different genres, but most of the books on my blog are YA. Some of my favorite genres are: YA, Urban/Modern Fantasy, High Fantasy, Dystopian, Historical Fiction, Paranormal, and Contemporary/Romance. 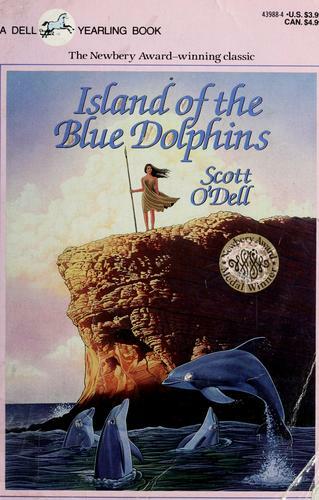 Why I love The Island of the Blue Dolphins by Scott O'Dell. I first read this when I was about ten years old and loved it so much I consider it to be my all time favorite children's book. I wasn't much of a reader at the time -except for maybe comic books- but something about O'Dell's writing and the story of Karana, a Native girl accidentally left behind on her tribe's former island home, had me so enthralled I couldn't put it down. I loved the adventure and Karana's amazing courage as she takes on the business of solitary survival. She lives in a cave, makes tools, hunts, fishes, and tries to keep the wild dogs away -except for the injured one that adopts her after she nurses him back to health- all while waiting for a rescue that doesn't come for eighteen years. Even though I don't remember much of the details of the story, I do remember how it left me feeling - this girl was so cool, tough and resilient I wanted to be just like her. I went on to read and enjoy other books after this one, but really, it was Island of the Blue Dolphins that started it all. 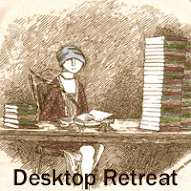 My blog, Desktop Retreat, is a small reading journal I started about four years ago as a place to collect all the bookish quotes, images, thoughts and reviews that otherwise would be all over the place. The books I read are mostly contemporary and historical fiction with a god portion of classics, memoirs, and non-fiction as well. It really depends on the day. Which children's books do you love? Feel free to create your own post and link up. Don't want to create an entire post? Tell me your favorites in the comments. Thanks for stopping by for another week of Why I Love Wednesdays!! I always read Alex's blog, but I hadn't seen the other two before. 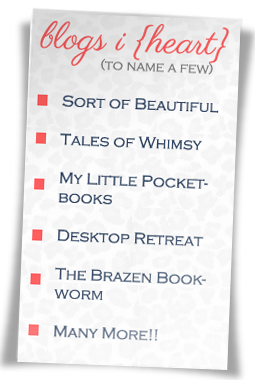 thanks for sharing your fave children's books! Please Come Home sounds like it would of been a wonderful book to read. Definitely wish I could get a copy. Love the guest post for this meme. I can't for the sake of think of the name of the book that i enjoyed as a child. I read mostly magazines such as: TIME, Ebony, jet, but i do recall one story about a little girl and a plant, but cannot think of its title. Yes, I feel exactly the same about The Island of the Blue Dolphins! Love that book as a kid. It turned me on to reading. Now I want to re-read it. Thanks for reminding me about it. Ha! I know I don't usually do these but I couldn't resist! 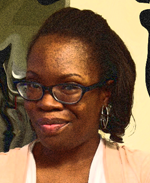 Pop on over and check mine out! I haven't heard of these children's books. I'll have to see if I can find them in the library here. I was always a fan of the Little House books like Blodeuedd or Nancy Drew. I can't believe I haven't read any of these.